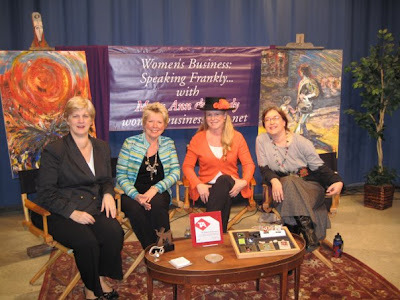 Hosts: Mary Ann Shallcross Smith, Wendy Hanson. Dates for Gail Ahlers and Dorota Streitfeld’s show is as follows: on Lincoln 18: 5/24 and 5/31 at 9 pm and on Interconnect A: 5/27 and 6/3 at 12:30 pm. Enjoy! This entry was posted in Dorota Streitfeld, Gail Ahlers, Mary Ann Shallcross Smith, Wendy Hanson, Womens Business on May 16, 2009 by dorota.